Dundream Garden – Loves Life! 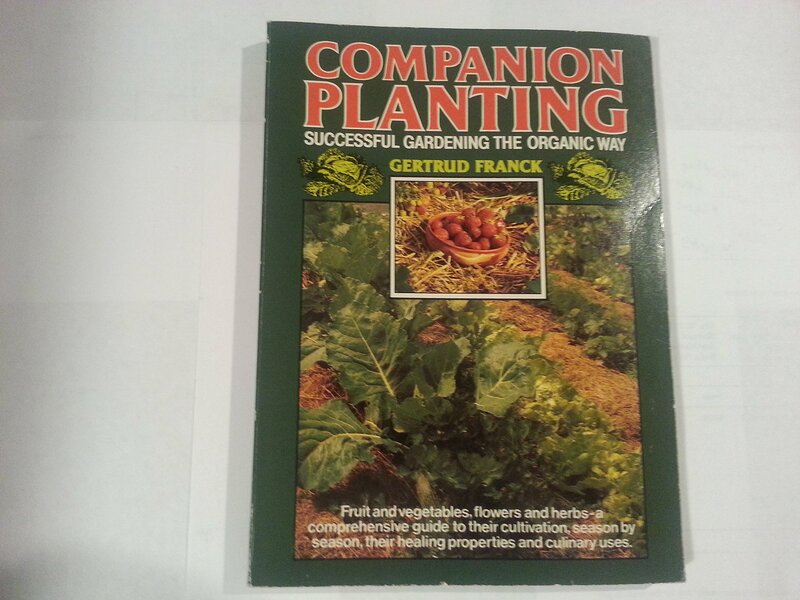 I have always been passionate about growing my own organic vegetables and fruit. When my children were growing up I loved being able to pick fresh vegetables and fruit from the garden and in the farmhouse kitchen there was always a pot of wholesome homemade soup on the stove made from stock from meat or chicken. 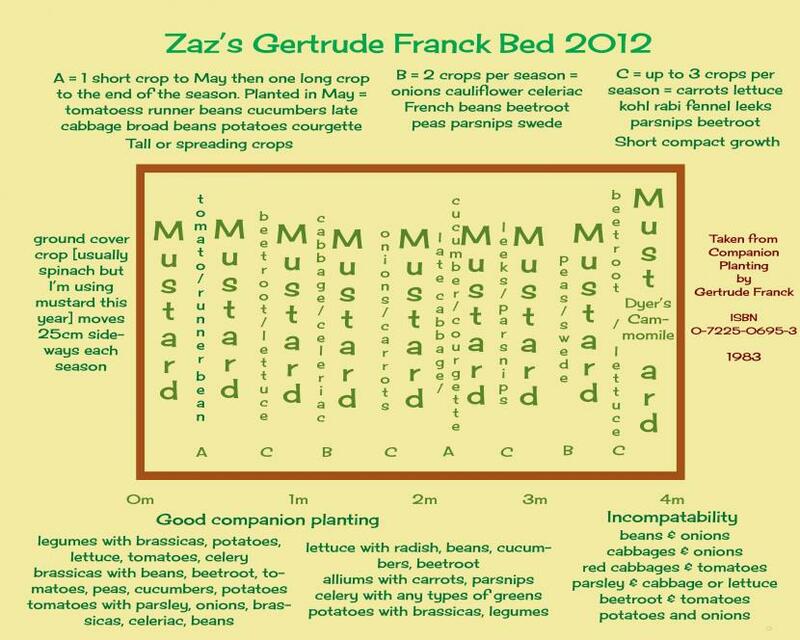 I tried growing vegetables using Gertrud Franck’s concept of Companion Planting, in which row crops are planted according to compatibility with each other as I did not wish to use any chemicals. Onions grew next to carrots which kept pests like carrot fly to a minimum. Spinach and mustard were grown thickly in the spaces between crops so that soil was not left bare but nourished by these plants which were the turned over to provide natural fertiliser and with a dual purpose of discouraging weeds. Raised beds are a great way to grow vegetables reducing weeding problems and natural compost is added annually to enrich the soil. During the winter seaweed strips is placed on the bare soil or mustard is sown in the autumn and left until Spring before hoeing into the soil. At Dundream this season there organic vegetables for guests to enjoy which include kale, spinach, celery, celeriac, lettuce, beetroot. borecole, broccoli, turnips, leeks, swiss chard, pok choi, onions and leeks. Fresh herbs are also grown in pots in the Japanese garden. The fresh dill adds a wonderful aniseed flavour to grilled fish: fresh thyme and rosemary complement a roasted joint of lamb and lavender works well with cauliflower gently steamed with butter and seasonings. I am looking forward to sharing the delicious fruit in the future from the cherry, plum, apple and pear trees. Recent research findings published in the British Journal of Nutrition states that organically grown crops contain much higher concentrations of nutritionally desirable antioxidants and lower levels of undesirable cadmium and pesticide residues. 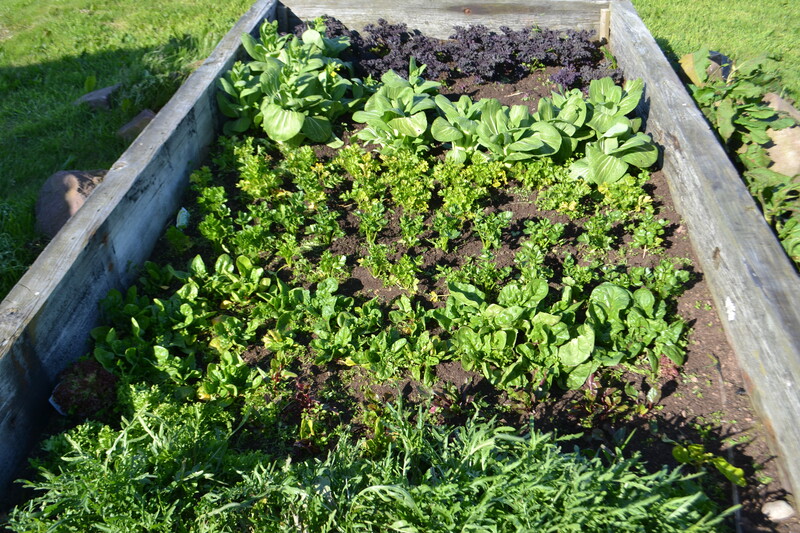 Raised beds do not take up too much space and reduce weeding problems. Leafy greens appear as the main ingredients in juicing, salads, decorations in gourmet dishes, and wrap substitutes. The effects of regularly consuming green leafy vegetables ensures daily intake of vitamins A, C, E and K and B-vitamins, fibre, iron, magnesium, potassium and calcium. These super foods are easy to grow and delicious picked fresh with no chemical residues. Enjoy!